Our desire is to build a community of people who love God; proclaim Jesus and grow in discipleship. We seek to apply the timeless teaching of the Bible to our contemporary setting so that we can live the rich and full life that Jesus promises. So whoever you are, wherever you come from, whatever you do and however old you are, a warm welcome awaits you! We would love the chance to get to know you. 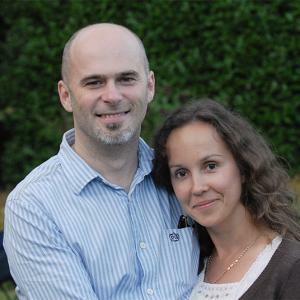 Dave is married to Oksana and took up the post of Minister in January 2015. His grey beard attests to many years of youth work, and he is passionate about sharing the gospel with all ages in an accessible and creative way. Dave has a background in, and love of the performing arts and he has previously worked with Riding Lights Theatre Company and subsequently published a series of books resourcing churches with sketches and illustrations. Dave loves the country air and is frequently found in the coffee shops of Cranleigh. Andy is married to Jo and they have 2 beautiful little daughters. Since his teenage years he has had a passion to reach children and young people with the Gospel and, as they come to faith, to see them grow in their relationship and walk with Jesus. He also has a heart to see them step out and reach others for Christ through various mission opportunities. 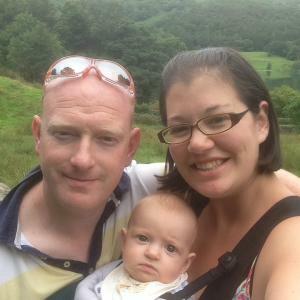 Having been in the sports and leisure industry for a number of years, in 2010 he took a post at Kennet Valley Free Church in Reading before moving to Cranleigh in February 2016. He has many interests including spending time with his family, playing sport and doing outdoor activities, as well as socialising with friends and playing the drums. Deborah is married to David and they have two very active boys. 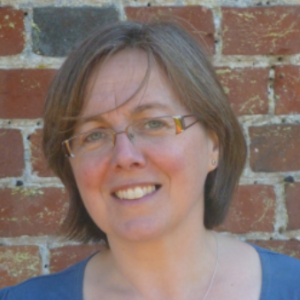 She moved to Cranleigh in 2004 and has been part of the church family since that time. She took up the post of our administrator in May 2016. With two young boys there is not much spare time in life, but when the opportunity arises Deborah enjoys being creative, walking in beautiful countryside and having coffee with friends. Our Sunday services are at the heart of our church life where the community come together to praise God and hear him speak. We are largely made up of committed Christians, but also attract many others who are undecided. Wherever you are on that journey and whatever you believe you will be warmly welcomed. The style of our services is informal; there is no dress code, no pressure to take active part and no expectation for you to bring any money. After our services there is the opportunity to meet and chat with others over refreshments, or head straight for the door if you just want to be anonymous. Our morning service begins at 10.30 during which we have a busy programme of groups for those under 14. The evening service begins at 6.30 and is generally a more intimate and reflective time. Following this there is a chance for our older teenagers to meet together. The calendar section of our website has more details. We are privileged at CBC to have a so many children and young people in our community, and our work with families is integral to what we do. As well as looking after those already in the church, we work with the local community in various ways from weekly clubs and activities to special one off and annual events. Our desire is to proclaim the good news of Jesus clearly to children and young people in a way which is fun, relevant and real to them, so we work hard to keep things fresh and are constantly trying to learn more. Protection of the children in our care is very important to us, so we have a clearly defined child protection policy. All ages are catered for as part of our Sunday programme and we run a range of midweek activities from Sunshine Toddlers to Bible study groups and activities for older teenagers. To find out more about our individual groups and special events please look at the calendar section of our website. Church is so much more than just an hour or so on a Sunday morning. So in the life of our church we have a wide range of groups and activities which we encourage everyone to get involved with. The Bible paints a beautiful picture of church community as a deep and rich thing which is very hard to build during a rushed conversation after a service. Whatever your age, and whatever your busy life pattern might look like, we hope these groups will provide a range of opportunities for caring and growing, as well as really enjoying each other’s company! We look forward to welcoming you at any of the events we have coming up. God. There is but one God, who exists eternally in three distinct but equal persons: The Father, the Son and the Holy Spirit. God is unchangeable in his holiness, justice, wisdom and love. He is the almighty Creator, Saviour and Judge who sustains and governs all things according to his sovereign will or his own glory. The Bible. God has revealed himself in the Bible, which consists of the Old and New Testaments alone. Every word was inspired by God through human authors, so that the Bible, as originally given, is in its entirety the Word of God, without error and fully reliable in fact and doctrine. The Bible alone speaks with final authority and is always sufficient for all matters of belief and practice. The Human Race. All men and women, being created in the image of God, have inherent and equal dignity and worth. Their greatest purpose is to obey, worship and love God. As a result of the rebellion of our first parents, every aspect of human nature has been corrupted so that all men and women are without spiritual life, guilty sinners and hostile to God. Every person is therefore under the just condemnation of God and needs to be born again, forgiven and reconciled to God in order to know and please him. The Lord Jesus Christ. The Lord Jesus Christ is fully God and fully man. he was conceived by the Holy Spirit, born of a virgin and lived a sinless life in obedience to the Father. He taught with authority and all his words are true. On the cross he died in the place of sinners, bearing God’s punishment for their sin, redeeming them by his blood. He rose from the dead and in his resurrection body ascended to heaven where he is exalted as Lord of all. He intercedes for his people in the presence of the Father. Salvation. Salvation is entirely a work of God’s grace and cannot be earned or deserved. It has been accomplished by the Lord Jesus Christ and is offered to all in the gospel. God in his love forgives sinners whom he eternally elects and calls, granting them repentance and faith. All who believe in Christ are justified by faith alone, adopted into the family of God and receive eternal life. The Holy Spirit. The Holy Spirit has been sent from heaven to glorify Christ and to apply his work of salvation. He convicts sinners, imparts spiritual life and gives a true understanding of the Scriptures. He dwells in all believers, brings assurance of salvation and produces increasing likeness to Christ. He builds up the Church and empowers its members for worship, service and mission. The Church. The universal Church is the body of which Christ is the head and to which all who have received salvation belong. It is made visible in local churches, which are congregations of believers who are committed to each other for the worship of God, the preaching of the Word, the administering of Baptism and the Lord’s Supper, for pastoral care and discipline and for evangelism. The unity of the body of Christ is expressed within and between churches by mutual love, care and encouragement. True fellowship between churches exists only where they are faithful to the gospel. Baptism and the Lord’s Supper. Baptism and the Lord’s Supper have been given to the churches by Christ as visible signs of the gospel. Baptism is a symbol of union with Christ and entry into his Church but does not impart spiritual life. The Lord’s Supper is a commemoration of Christ’s sacrifice offered once for all and involves no change in the bread and wine. All its blessings are received by faith. The Future. The Lord Jesus will return in glory. He will raise the dead and judge the world in righteousness. The wicked will be sent to eternal punishment and the righteous will be welcomed into a life of eternal joy in fellowship with God. God will make all things new and will be glorified forever. This term we will be looking at some of Jesus teaching through his parables, and drawing lessons which are as relevant in 2019 as they were when first spoken. In our evening services we will also begin by looking at some parables of Jesus, then in the second half of the term have a close look at the seven sayings Jesus spoke from the cross. Here you can find out everything coming up in the life of CBC. Please get in touch if you'd like more details on anything that interests you. The Trustees of Cranleigh Baptist Church are the data controller and responsible for your personal data. Where we collect, hold and otherwise use Personal Data, including for the above groups, matters, and activities, separate Privacy Notices have / will be issued, and copies are available from the Church office. We hold your data for varying lengths of time depending on the type of information in question but in doing so we always comply with Data Protection legislation. Details of retention periods are available in our Retention Policy which you can request by contacting the Church Office. We have put in place appropriate security measures to prevent your personal data from being accidentally lost, used or accessed in an unauthorised way, altered or disclosed. In addition, we limit access to your personal data to those employees, volunteers or trustees who need to know. They will only process your personal data on our instructions. We will not share your information with third parties without your consent unless the law allows or requires us to do so. For a copy of our Data Protection Policy, or further information on how your information is used, how we maintain the security of your information and your rights to access information we hold on you, please contact the Church Office or speak to the DPCM. We hope that we can resolve any query or concern you may raise about our use of your information. You also have the right to complain directly to the Information Commissioner’s Office at https://ico.org.uk/concerns/ or by telephone 0303 123 1113.